Fanwood Fitness is a private, one-on-one personal training studio conveniently located in the New Jersey areas of: Berkeley Heights, Clark, Cranford, Fanwood, Garwood, Mountainside, New Providence, Scotch Plains, Watchung, and Westfield. With over 20 years of hard-earned experience, Fanwood Fitness is the best place to find expert personal trainers in NJ. Offering a clean, state-of-the-art workout facility with experienced personal trainers, Fanwood Fitness is much more affordable than gym memberships. In addition the individualized attention and complete privacy during your custom workout, Fanwood Fitness also offers qualified in-home personal training services that will come directly to your home or office in New Jersey. 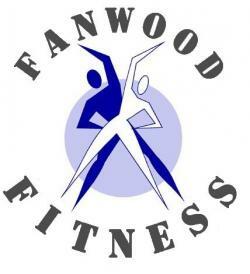 With an array of experienced personal trainers to choose from, Fanwood Fitness will provide certified fitness specialists that will work with you, at your pace. Every person has different needs, which is why all Fanwood Fitness personal trainers create customized exercise routines that are unique to each client. Specializing in: women’s fitness, men’s fitness as well as youth fitness and sports training for teenagers and young adults, people from all over New Jersey come to Fanwood Fitness to lose weight, tone up, build strength and achieve the fitness goals of their dreams! Fanwood Fitness is a private, one-on-one personal training studio in New Jersey that offers expert personal trainers as well as in-home personal training services throughout NJ.